A progressive journey with a touch of balearic flavour by DJ Taco on his re-work of the legendary early 90’s Casa Beat. The catchy moody piano melody hook is replaced with a wall of synths and a groovy beat, built into a big sound summer anthem style mix. 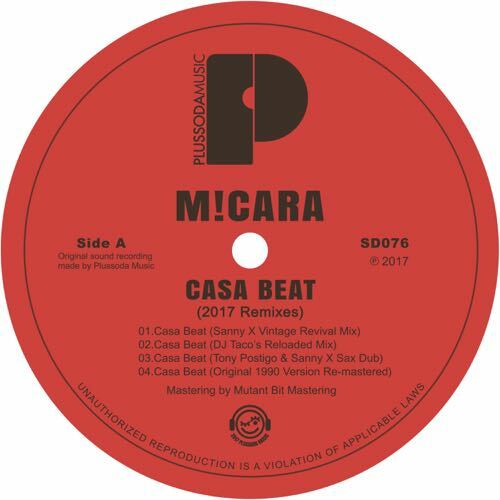 Tony Postigo teams up again with Sanny X and rebuilds Casa Beat into a strong piece of deep house with a delicate sax hook to replace the original moody piano melody, a steady phat beat and a beefy bassline. Funky Spacer kicks joins as well with his guitar magic, this time to add some latino flavour. Not so hard to track down anymore – here is the original version remastered.